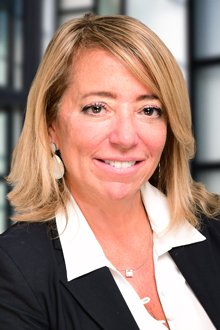 New York, NY (November 28, 2018) – New York Partner Ellen Greiper will co-chair the 3rd Annual Construction Defect, Claims & Litigation Strategies ExecuSummit at the Mohegan Sun Resort & Convention Center in Uncasville, CT, taking place December 4-5. The event, sponsored in part by Lewis Brisbois, will bring together distinguished presenters at the forefront of construction defect claims and litigation strategies to share their knowledge, answer questions, and network with attendees. In addition to co-chairing the event, Ms. Greiper will give a presentation titled “Labor Law and the Effects on Construction in New York.” Ms. Greiper has more than three decades of experience defending multi-party construction and construction defect cases in the state and federal courts of New York. A prolific author and frequent speaker on emerging issues in the construction industry, she is also a member of a number of professional industry organizations, including a recent appointment to the Board of the National Association of Women in Construction (NAWIC).